Diary of a Ledger: Tetris, BOOM! Tetris on the PS3 with added online elements? 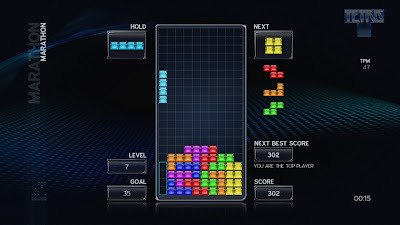 Competitive Tetris? Against a faceless foe? Five hours later and I think I just started blinking. As addictive as ever but with some great two minute games that just beg you to back for more. Every time. Proper review when my eyes start working again.